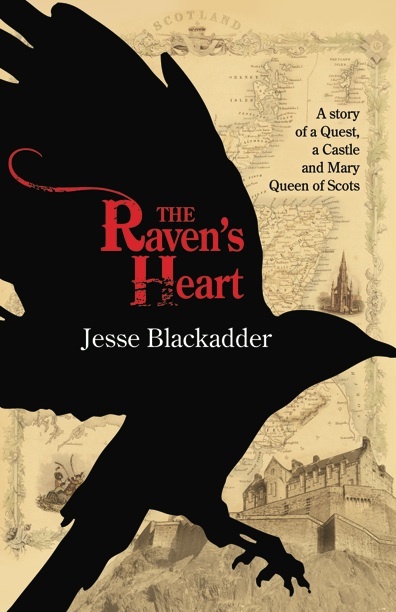 Author Jesse Blackadder’s novel The Raven’s Heart is set in the court of Mary Queen of Scots – and was partly inspired by the discovery that the queen was a regular cross-dresser. The Raven’s Heart has just been published by Bywater Books in the USA, UK and Canada (it was published in Australia last year by HarperCollins). However, it was another Mary from the time who penned a love poem to her female friend that has survived down the centuries. Here, Jesse crosses the historical divide to “talk” to Mary Maitland and tell us about the inspiration behind The Raven’s Heart. 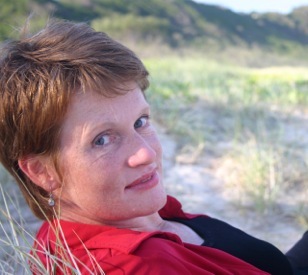 Mary Maitland, you wrote a passionate poem to another woman and slipped it under your father’s nose, to be published in his 1586 Scottish collection The Maitland Quarto Manuscript. You were compared to Sappho – a poet who was part of classic education in those days – and in the poem you dream of changing into a man so you can marry the woman you love. Was a passionate – but chaste – friendship the only option for women who fell in love in the 16th century? Although men of the day were often accused of being sodomites – including the husband of the Queen of Scots – lesbianism didn’t openly exist as an identity. The fact that Mary Maitland’s poem was published in a collection compiled by the Keeper of the Great Seal of Scotland, suggests there was no hint of indecency about her declarations. But this poem (reproduced in The Literature of Lesbianism by Terry Castle) was one of the little jewels I found while researching and writing my story of powerful women struggling for their birthright in the time of the Queen of Scots, herself a powerful and attractive woman. Unusually tall and highly charismatic, the Queen loved sports and outdoor activities and was accomplished at riding and hunting. She disguised herself as a man and slipped out of her palace at night to explore Edinburgh’s streets and drink in its taverns. Perhaps these experiences piqued the Queen’s interest in clothing, gender and power, for Mary began cross-dressing more politically. She turned up in masculine clothing to a banquet in honour of the English ambassador and joked about how a marriage between herself and Elizabeth I would solve their political problems. When one of her powerful lords in the north of Scotland defied her, Mary donned armour to lead her armies to defeat him and admitted that she loved to live as a soldier. She rode out again when her lords rebelled against her marriage to the unpopular (and rumoured homosexual) Lord Darnley, putting on such a show of strength that the rebels fled without a fight. There’s no suggestion in contemporary or current history that the Queen was a lesbian, but I couldn’t help being fascinated by this extraordinary character. Mary was the most famous cross dresser of the time – but surely not the only one? And so the main character in The Raven’s Heart, Alison, is disguised as a boy from a young age to protect her from kidnapping. When Alison goes into Mary’s service to petition for the return of her family’s castle, how can she not fall in love with the charismatic Queen of Scots? Mary Maitland isn’t a character in the book, but I can’t help wondering: did she and her loved one remain “In perfect amity forever”? Or did her marriage to one Alexander Lauder end the constancy of her “holy and religious” love? We come across the North Sea, bearing the face of heaven in our hold. A fleet of ships brings such a treasure, our galley speeding ahead and the rest following slowly with her horses and fineries, her tapestries and clothes. She returns from thirteen years in the French court to take up the reins of power. Does she remember that she returns to a city of stone? Stone is too old to care what human hands press against it, what blood spills in its crevices. Even the palace, with its French architecture, is made of stone, and looming above it, Edinburgh Castle hewn from the cliff so that none may attack it and none may escape. She sails to a stone city, an icy country and a cold people. As we draw close to the coast, heavy fog envelopes us. Bass Rock materialises through the mist like something enchanted, its sides steep and forbidding, and the gulls scream and wrack and sweep around it in circles. The sea is brown and heaving, the outpour of the Firth River is a scum of Edinburgh’s rot slapping at the side of the boat. She waits on the deck to set eyes on the land, but it stubbornly refuses to reveal itself through the mist. It is not a forgiving country and she has been gone since she was five.